From "One-click" copies to highly customized burn sessions, DVDXPlatinum′s advance burning technology gives you total control of the DVD movie backup process. Guaranteed to satisfy or your money back. Auto compress to a single DVD or turn off compression and DVDXGold splits to multiple discs for perfect DVD quality important choice for viewing on very large, high resolution screens where digital perfection is a must. 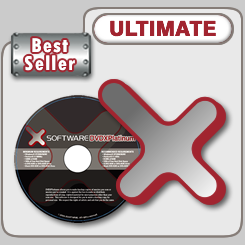 Simply the easiest DVD backup in the market. Anyone can backup a DVD movie with DVDXpress. We are not in any way related to DVD X Copy, but our DVD backup products have been inspired by the best selling DVD movie backup title of its kind. Our DVDX product series is easy to use, more powerful and based on the most advanced, rock-solid technology - guaranteed.